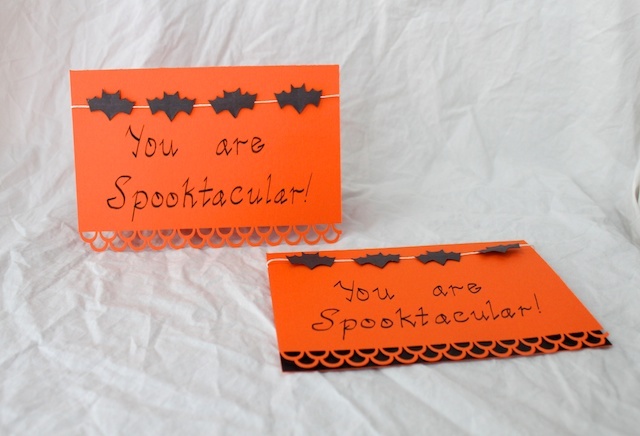 Halloween cards. 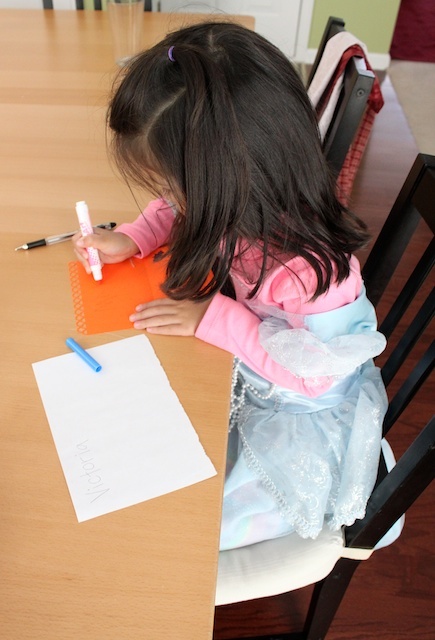 Do you send out holiday cards to people at each holiday or just the major holidays? This is just a variation of the bunting cards tutorial I did a few weeks ago. My girls sent these Halloween cards to their friends in another state. It’s a great way to brighten someone’s day. 1. 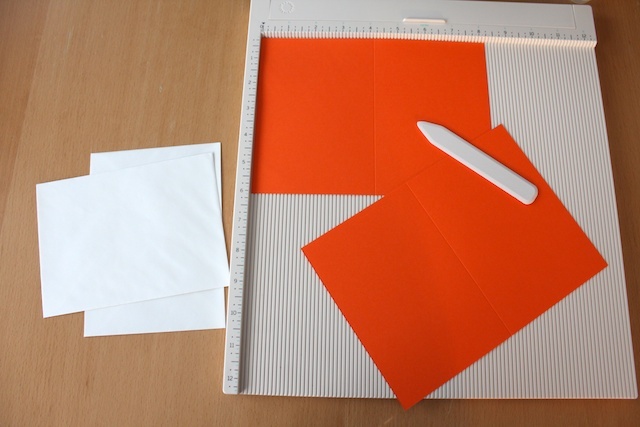 Cut your cardstock card to the size of your envelope. 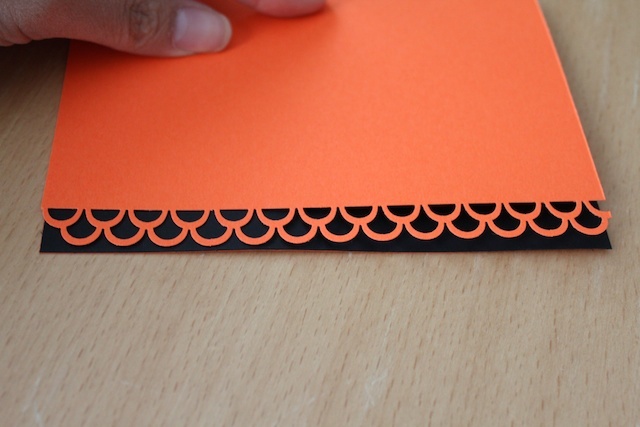 Make a crease where you want the fold of the card. Or simply fold it in half. 2. 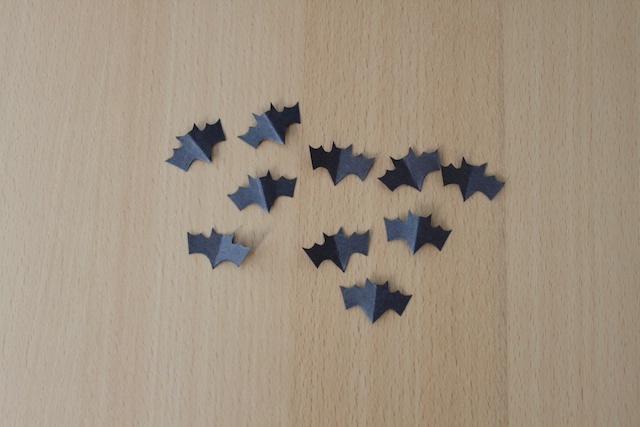 Cut out mini bats. 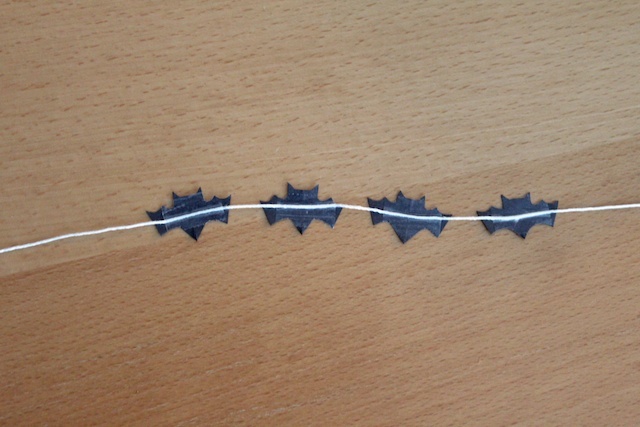 You will have to make your own pattern for this because these bats were so tiny that I couldn’t make a good pattern for you to print. Best way to do it is to fold paper in half and cut out only half the bat. Unfold for the whole bat. 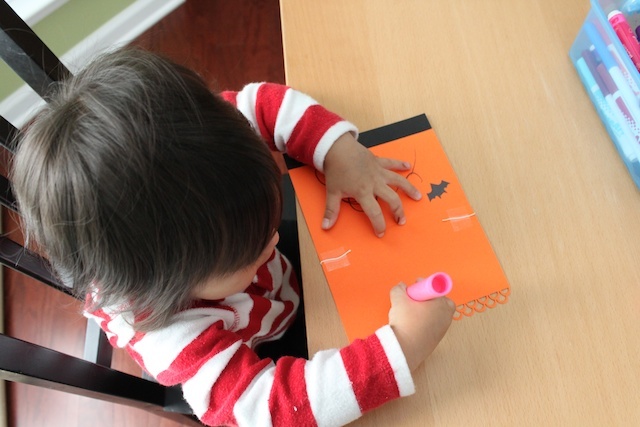 If you have a paper punch for bat or pumpkin or anything Halloween shape, you are in luck. 3. 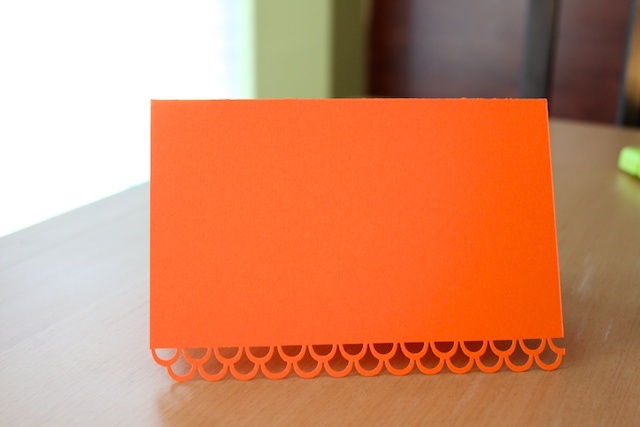 Then I used decorative paper punch for the bottom edge on the front of the card. 4. I glued a strip of black paper behind the decorative edging to help it stand out. 5. 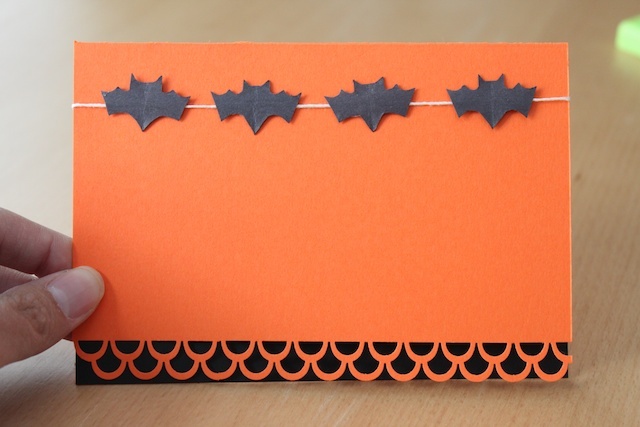 Cut a piece of string that will go across the card with some excess to tape it to the inside of the card. And glue or tape the bats to the string. These next few steps are similar to the bunting cards tutorial. 6. Tape the ends of the string to the inside of the card. 7. 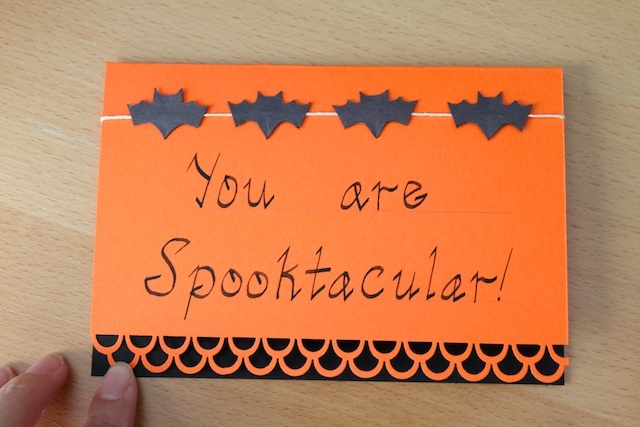 I calligraphied “You are spooktacular!” to the front of the card. 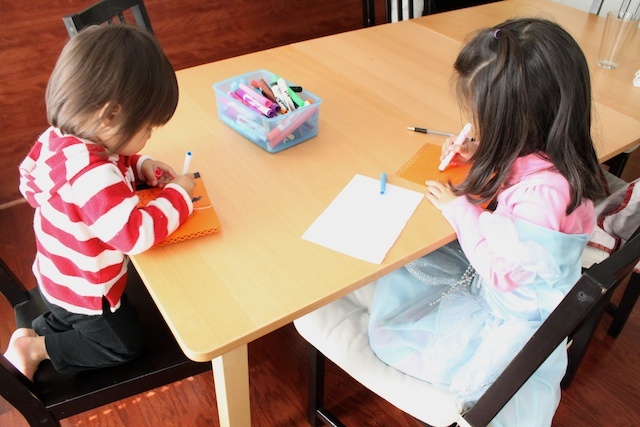 You can use markers or scrapbooking pens to do the same. And done! I cut a few extra bats to glue to the inside and envelope of the cards. 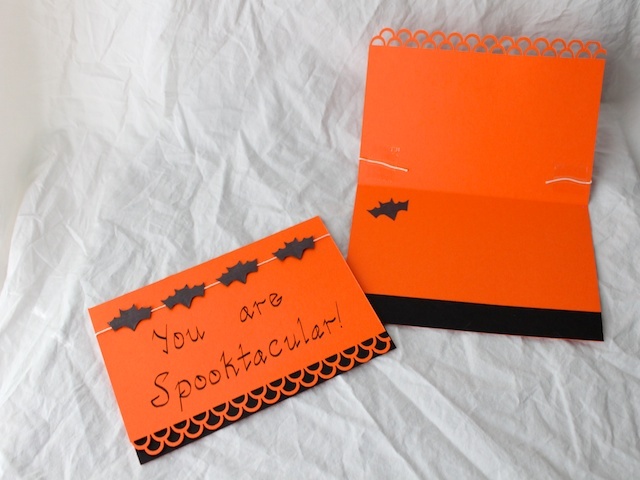 » Tell me… Do you send Halloween cards to your friends? How do you celebrate Halloween with friends? Hi! Love this card idea. What is the brand/name of that edge stamp? It’s darling! Thanks. martha stewart paper punch. she has the cutest stuff, right? These are really cute! I was Just thinking you could glue bats over the sting ends on the inside of the card. I love all your crafting ideas. How do have the time for all this? Thanks. Indeed she does have the cutest stuff. I love it!